"Leadership USA has been valuable in my life for many reasons. One, I have met amazing people who I am proud to call brothers and friends. Two, it made me a better person in Christ. And three, it will always bring back great memories especially the time my brother baptized me." "Leadership USA has helped me to further develop my walk with Christ as well as gain strong friendships with other young men who have kept me accountable during and after the course." "Leadership USA has taught me patience and to lead people in the way of God. Also, teaching me that every day is a day to grow in faith and help others grow in faith." 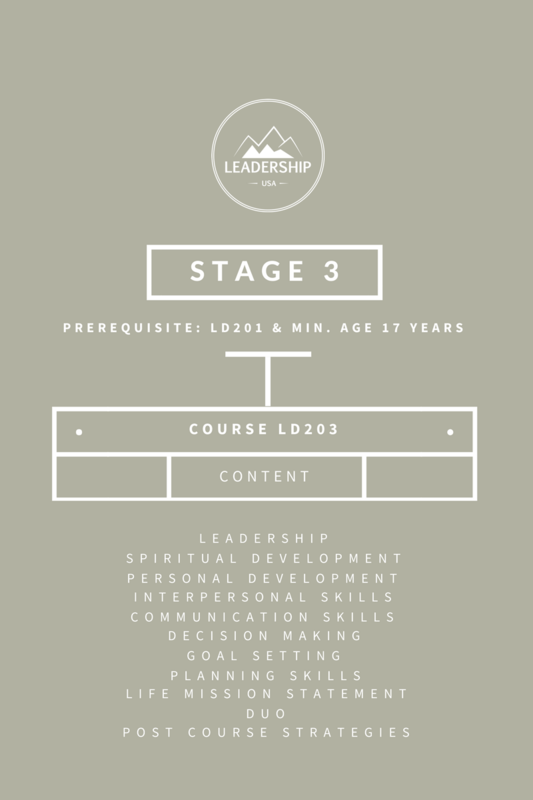 Leadership USA is a 3 Stage Course spanning three summers with one stage being completed each summer. Participants are assigned to groups of 8-10 boys. By the end of the course, they will have developed the closest and most meaningful of friendships. During the Course, personal development activities may include zip-lining, ropes course, hiking, camping, target shooting (BB guns, archery), swimming, etc. under trained staff and facilitators. All topics are dealt with from a Christian perspective. Spiritual teaching is emphasized whether or not the activity is specifically a devotional one. This is NOT a summer camp.